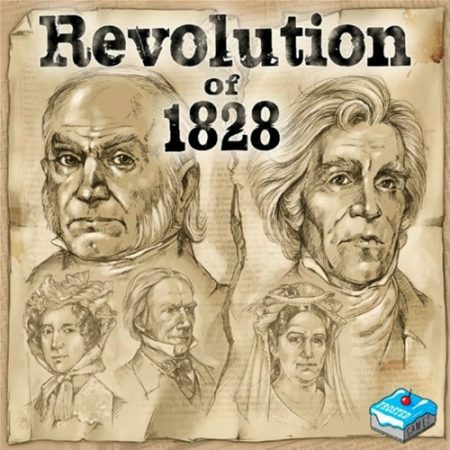 Renegade Game Studios has announced the upcoming release of Revolution of 1828, a 2 player game where you are trying to become America’s 7th President. It is 1828 and the time for elections has come around again in this newly-formed democracy we call the United States of America. John Quincy Adams and Andrew Jackson are the candidates vying for the people’s votes. For the first time in history, this grand campaign is also fought on the pages of newspapers and the eager public audience. This was an election that found its way into history books with its yet unseen ruthlessness and malevolence. This was America’s first smear campaign. In this two-player game, you are trying to become the next President of the United States! 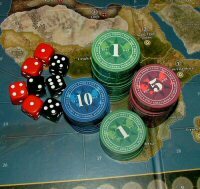 To reach this lofty goal, each player will try to take Election tiles that suit you best and hinder your opponent’s campaign. Election tiles allow you to garner the allegiance of Electors and use the power of Smear Campaigns to skew the populace in your favor. If you also use the powerful Campaign Actions to your advantage and have the press look the other way, nothing should stand in your way! Gain the most votes by the end of the game and start your work as America’s 7th President!